In golf, the time it takes to complete 18 holes, or the ‘pace of play’ as it is known, has been a major topic of discussion among players, spectators and tournament organisers in recent years. Many feel that the game is too slow paced for retaining the attention of spectators. The European Tour therefore set itself a goal for the future, to make the game of golf faster with the intention of making it more attractive and interesting for fans. 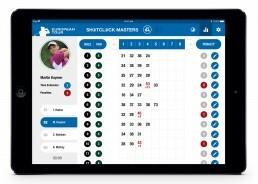 vStream designed and built the world’s first App-based Shot Clock system. This shot clock was initially trialled during the GolfSixes. It was then fully rolled out for the Shot Clock Masters competition during the European Tour in 2018. 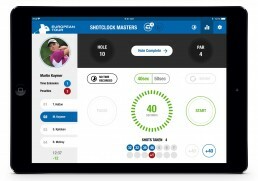 The shot clock format proved a success with the average round time being reduced by 30 minutes. The excitement of the countdown clock added an extra spectacle for fans of this globally televised sports event.